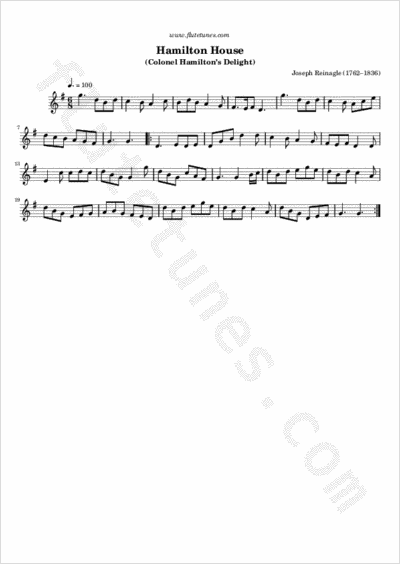 This melody was composed by Edinburgh composer and cellist Joseph Reinagle about 1783, and was originally called “Colonel Hamilton's Delight”. There is a Scottish country dance called “Hamilton House”, which portrays in the steps the peculiar succession of the earldom of Selkirk: if the Duke of Hamilton, head of the house, has a younger brother, then the earldom passes to the latter rather than to the duke. However, there is also a Hamilton House, or Lord Magdalen's House, in the old village of Preston, East Lothian, Scotland.